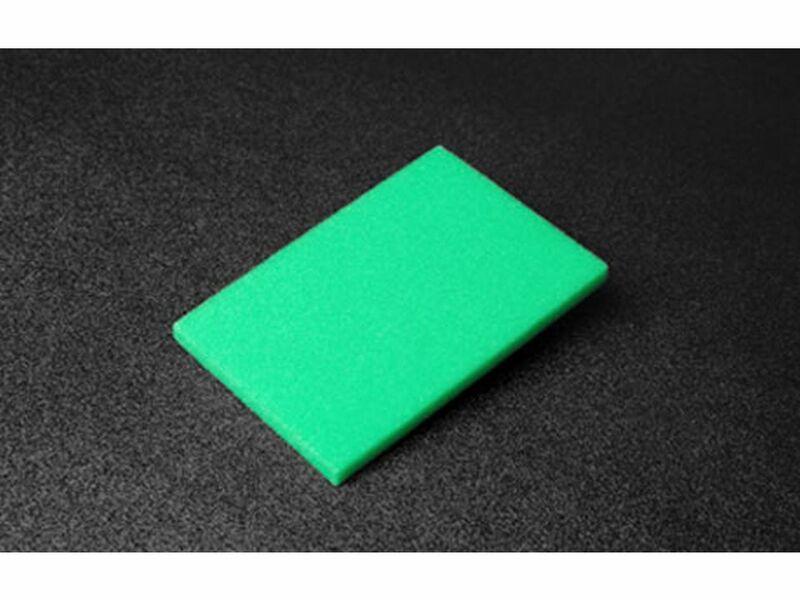 The Sahara® Sponge is a specially cross-linked ester, polyurethane foam with excellent physical properties. The Sahara® Sponge establishes a new standard in cleanroom cleanliness and dramatically improves facility appearance as stains and hardened residues can be cleaned in a cost effective manner by using only DI Water or IPA. Due to its superior abrasion and tear resistance, equipment stains and process residues can be removed from scratch sensitive surfaces without fear of contamination risks. The Sahara® Sponge is designed for use in ISO Class 3-8 cleanrooms and is processed and packed in an ISO Class 5 cleanroom. Soft construction combined with easy gliding, superior scrubbing performance. Effortlessly remove bleach and other disinfectant residues from scratch sensitive surfaces such as cleanroom windows and plastic curtains in ISO cleanrooms. Improves compliance with current cleaning and disinfection SOPs as disinfectant stains and residuals can easily be cleaned with only water or 70% isopropyl or ethyl alcohol. Unique polymer cross-linking provides outstanding tear and abrasion performance ensuring excellent particle control characteristics. The Sahara® Sponge enables Pharmaceutical, Semiconductor and Medical Device facilitates to eliminate hazardous chemicals and particle generating abrasives in equipment cleaning procedures.